Muddy says: We’ve hit the jackpot here – fine food and fine wine with a view to die for over the estate’s 265 acres of vineyards and across to Box Hill and the South Downs. Gorgeous! 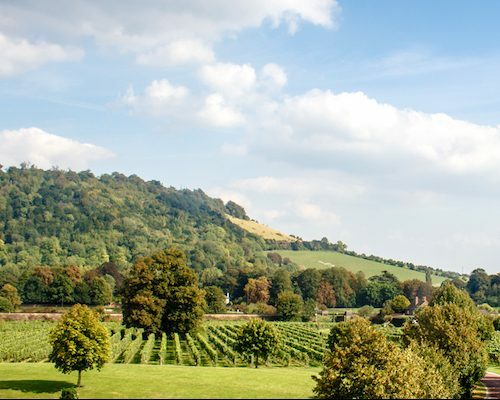 The views from The Gallery Restaurant at Denbies Wine Estate are quite possibly the best you’ll find in Surrey. 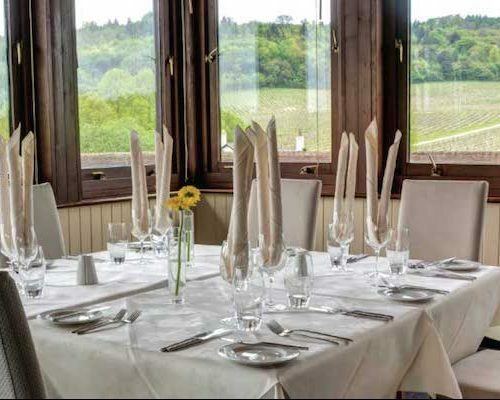 The restaurant is on the third floor, and looks out over the estate’s 265 acres of vineyards and across to Box Hill and the South Downs. 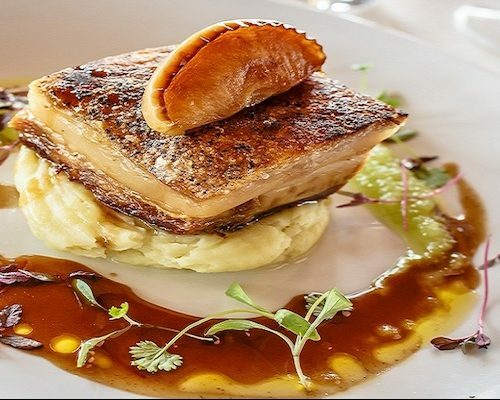 Head chef Aleksandrs Bogdanovs sources most of his ingredients from local suppliers in the south-east to produce a traditional à la carte menu that compliments the Denbies’ wine. Each dish comes with wine pairing suggestions. The restaurant is relaxed, and offers dining for all occasions. It’s open daily for lunch from 12-2.30pm, and on Sunday lunch until 3.30pm. The fixed-price Sunday roast is £21.95. A fixed-price two-course menu is available Mon-Fri for £16.95. The restaurant opens every evening for dinner from Thur-Sat.